This link may be of help to you. I think that is why some people also change out the rack for the likes of the SW Motech, its made of metal and is apparently a lot more rigid than the OEM rack. Here is a possible soft bag option set up for you. I'm still experimenting on getting my bike set up to where my wife and I can carry sufficient items without going too over the top. I just purchased a TBags soft bag from Pirates Lair which is possibly more suited if you have a seat with a back-rest as it has a piece that slips over the backrest. I haven't put it to the test yet, although we are planning to take the bike from Markleeville after this years SGR on a short tour via San Francisco and the PCH, so I'll see how we get on with that reasonably short trip (the bike is being trailered from Oklahoma to Markleeville). 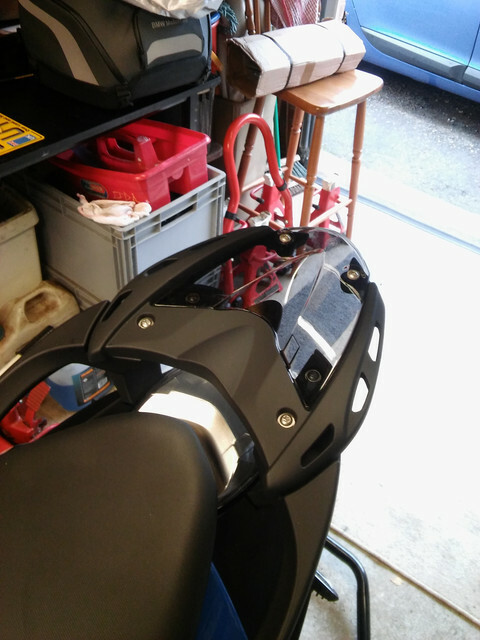 I used the SW Motech rack with a quick disconnect for a Givi top case. I had that for my 07 K1200S. It worked perfect - I used it only twice - two 10 day trips with my daughter. Also installed the back pad on the case for passenger. I still have the setup - the case is gloss black. I was looking at the same bag for our Colorado trip. Looks nice, Rob. Great - ANOTHER purchase from Pirate. 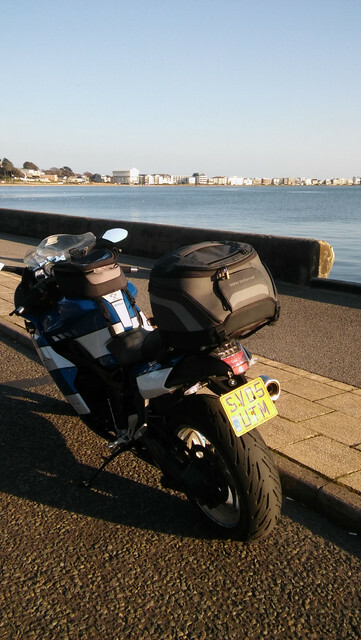 AC Schnitzer, Corbin, Beech Kit, City tankbag with "old" mount, Kriega US 20, Pro Grips 719, Zaino freak. Pierre check you pm and email sent pics to both. 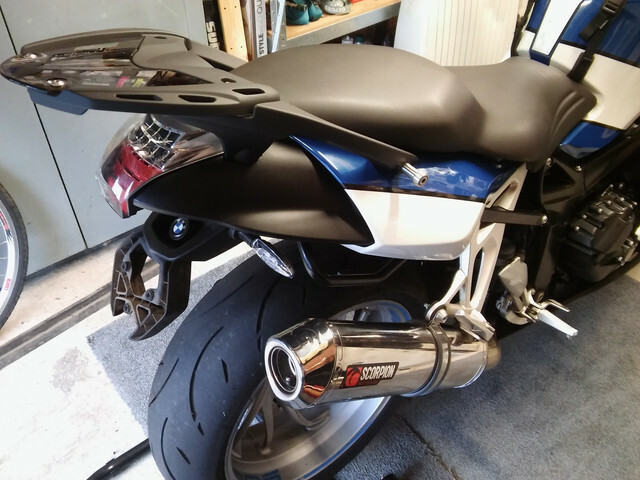 whick model of yoshimura is your exhaust? I like a lot. Well, thank you, but that's not my bike. It's Rob aka "Highlander." I just recently installed an AC Schnitzer and love it. We need more info. What are you carrying, one up or 2, ect. 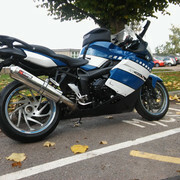 I have the SW-Motec aluma-rack with a Givi E520 top box. See the attached photo. BMW Small rack and either of the bags this one is the smallest.